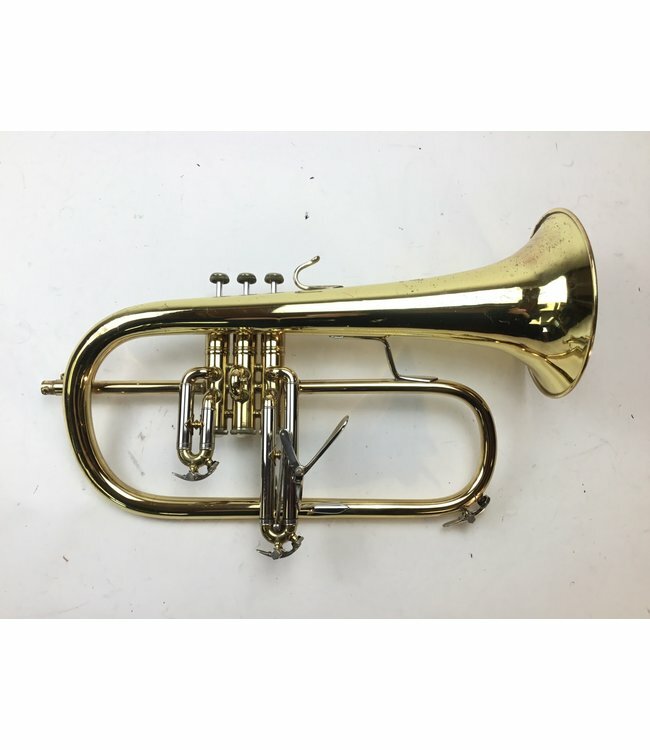 Used Bach Stradivarius model 183 Bb flugelhorn in lacquer finish. Overall good condition with lacquer wear and repair evidence throughout, minor spot of red rot on receiver, not affecting playability. Comes with case.